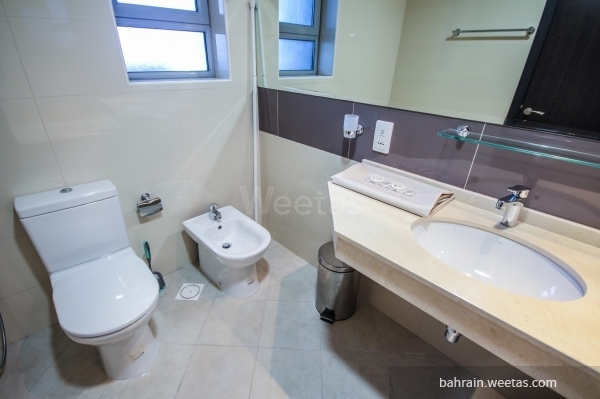 Unique fully furnished flat with a magical view for rent located in a luxurious tower in um al hassam, near the hospital, some restaurants and schools. 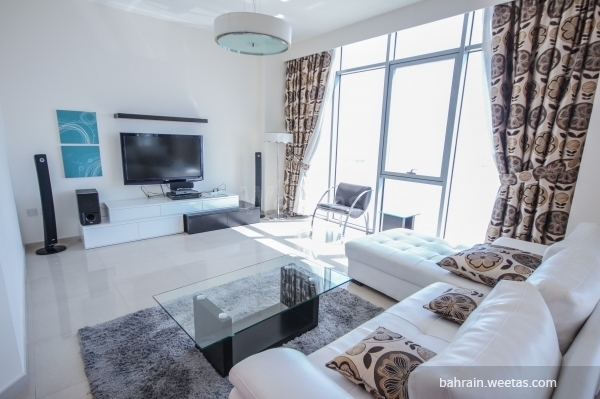 The flat consists of two elegant bedrooms, three luxurious bathrooms, a fully equipped open kitchen and a spacious living room. 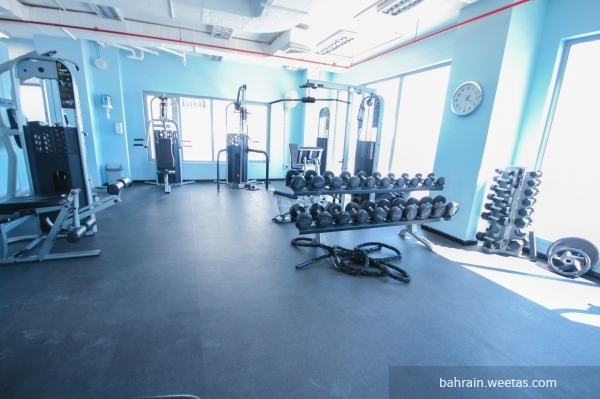 Some luxury amenities are available with the flat such as a swimming pool, gym, game room and a coffee shop. 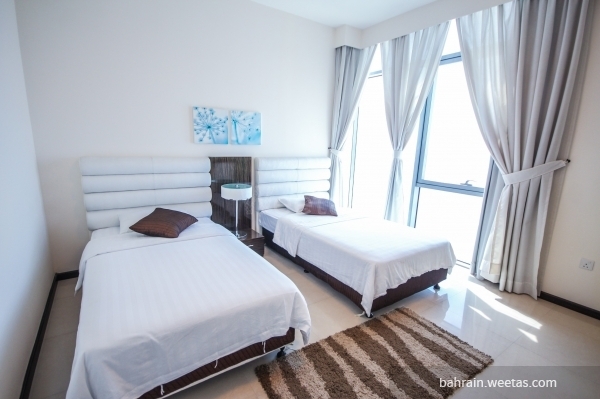 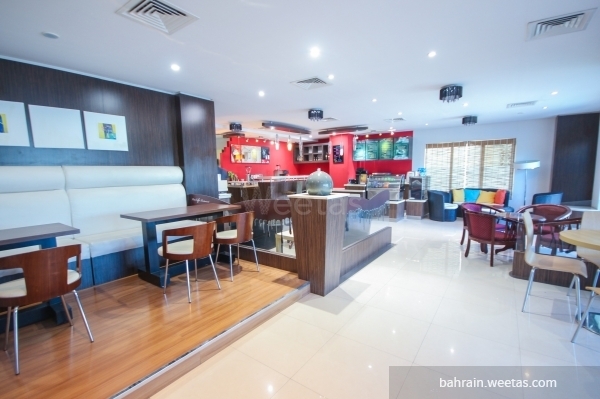 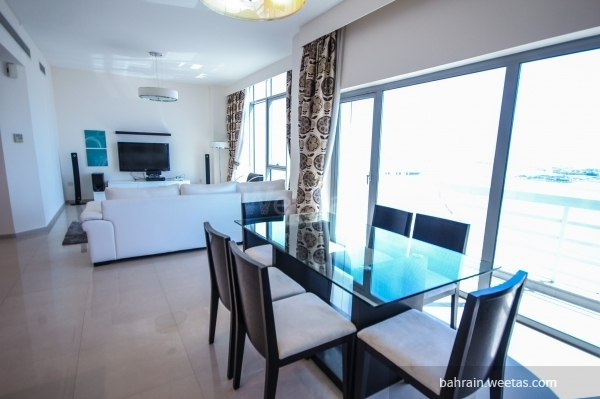 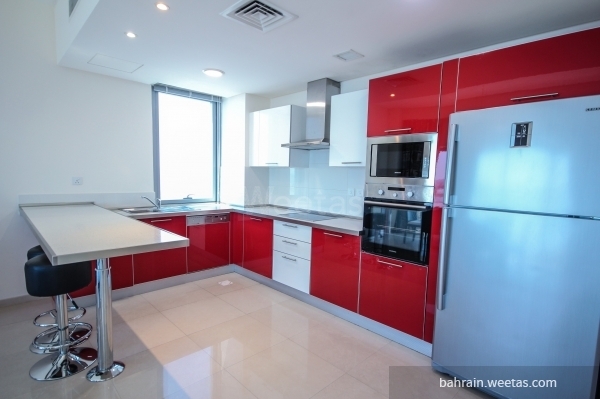 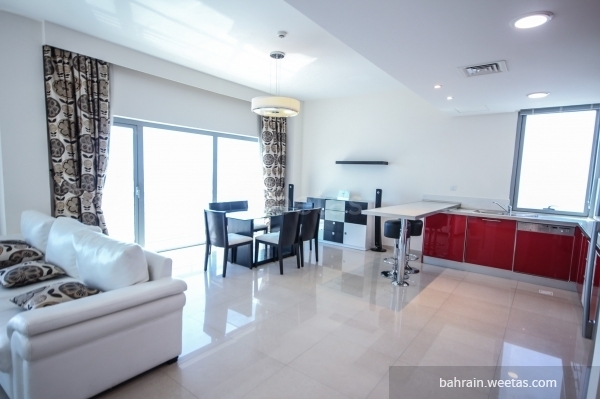 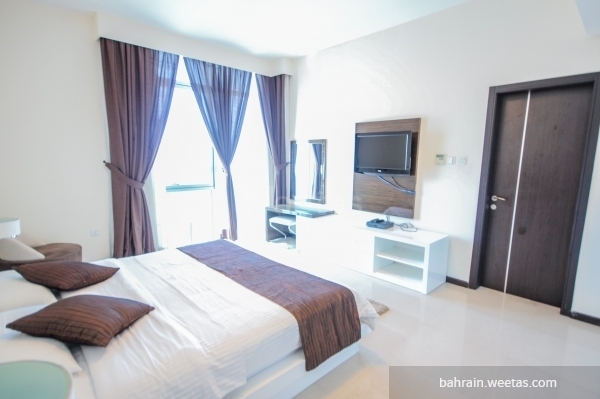 The flat is offered for rent price 600 Bahraini Dinar.